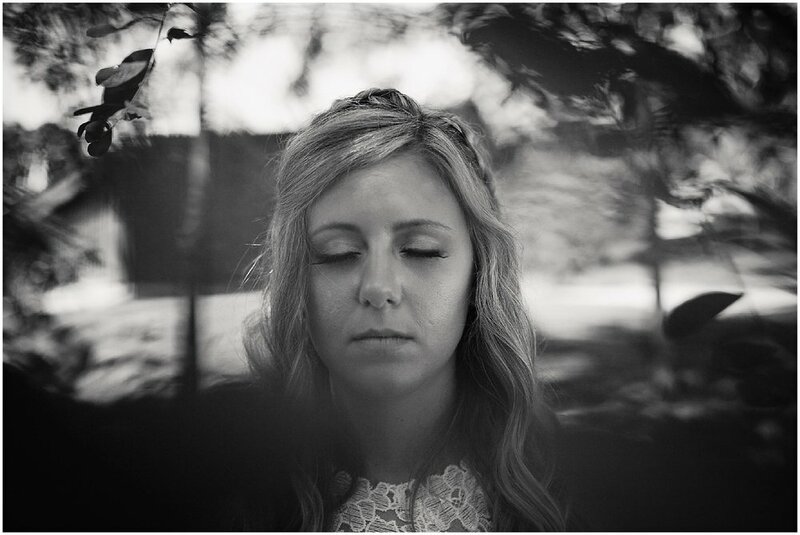 There's always at least one thing that stands out from every wedding I photograph. One thing that stays with me and lingers in my mind about the day. 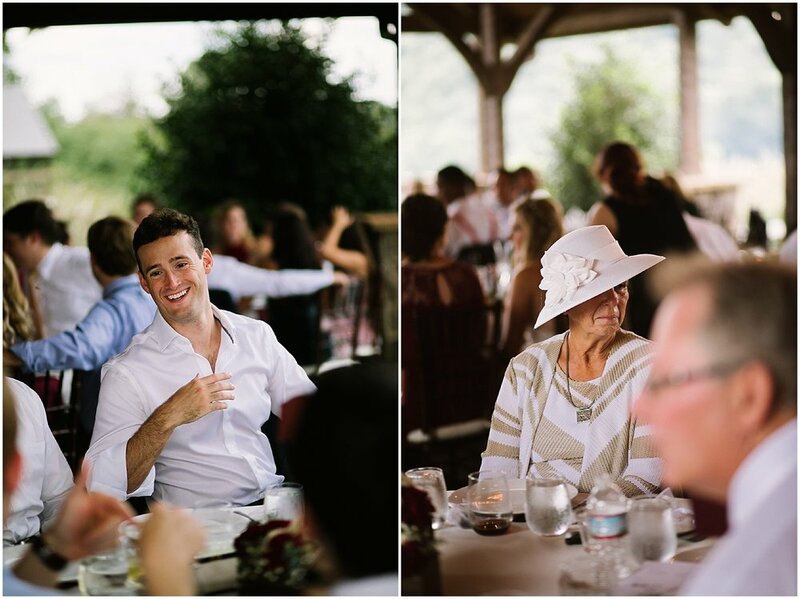 Sometimes it's a family member or a song or a certain way the bride and groom interact. 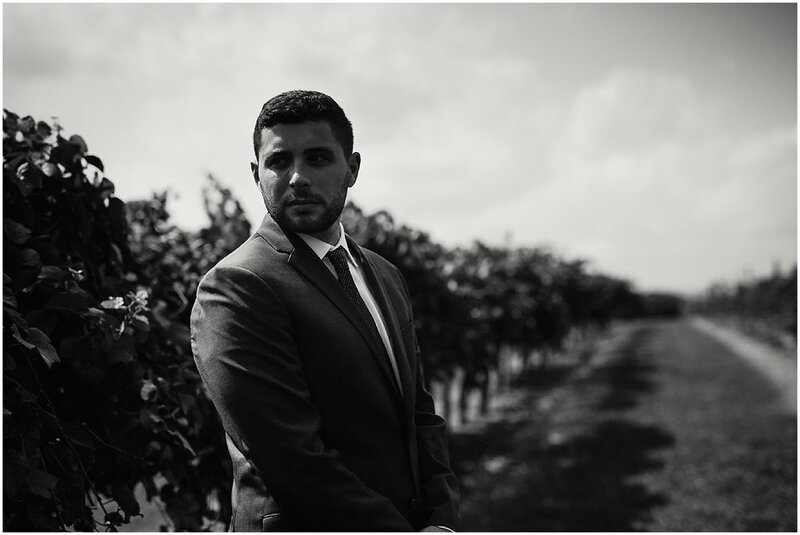 For Brooke and Sam's Debarge Vineyard wedding last fall, it was their first look. 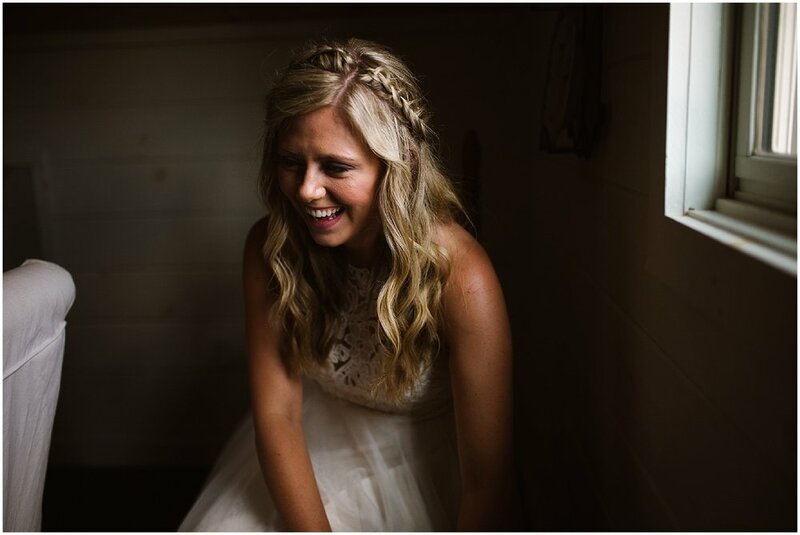 Throughout the morning, Brooke was excited while getting ready with her bridesmaids. She looked so great in her dress and shoes. Her hair was just as she wanted it. Sam was equally excited and especially ready to see Brooke for the first time. 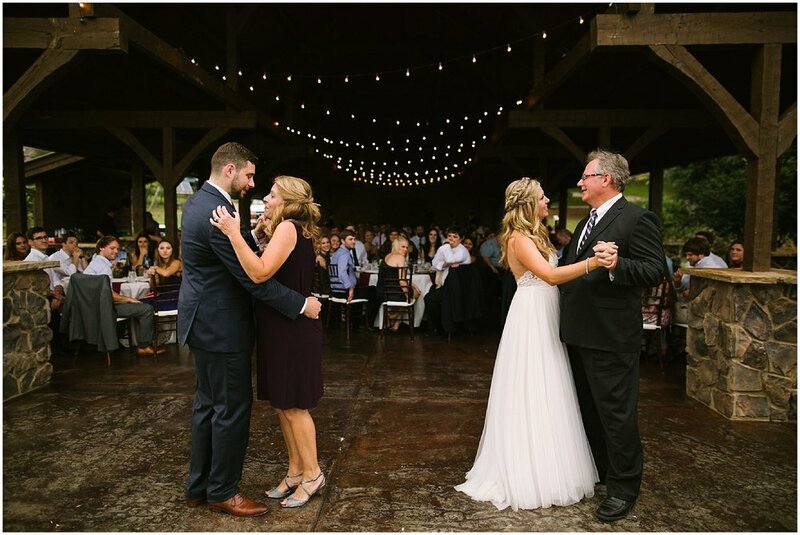 We got them in their places for their first look and Sam's smile when he turned around to see Brooke was extremely precious. She spun around to show the whole dress (I'm still obsessed that she chose a halter style!) and his smile got bigger and bigger. It was so cute to see them being able to hug each other and talk and relax together before all the rush of the day started. This is why I always recommend first looks. 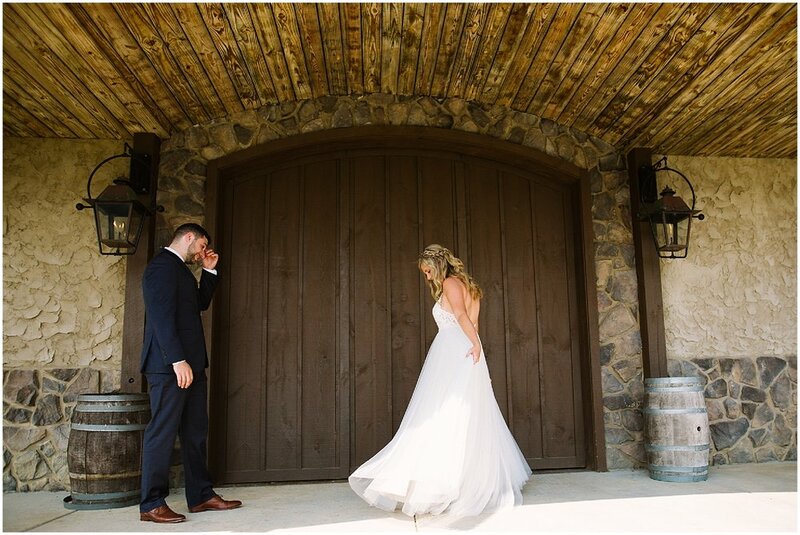 There are a million things happening on your wedding day and only so much that your brain can fully grasp and process, so the last thing you want is to only have a few small moments max of time alone with the person you're there for! 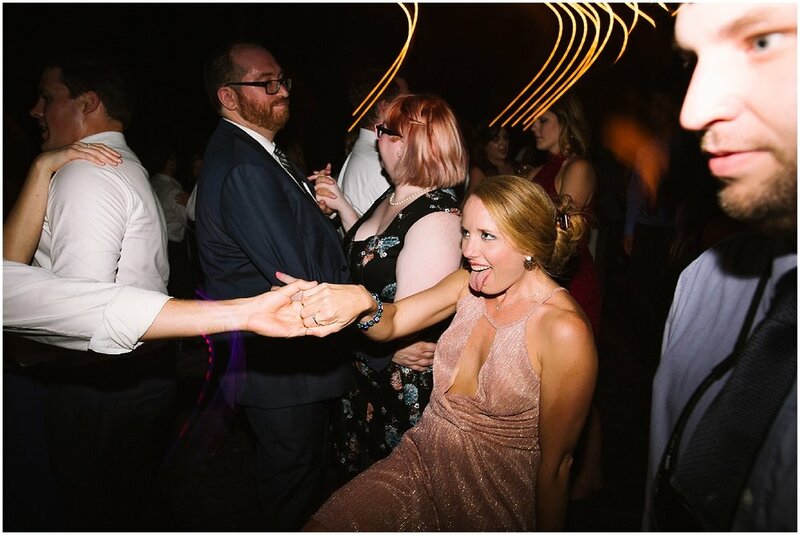 The rest of Brooke and Sam's wedding was a big ol party with the perfect fall mountain weather. Not too hot while the sun was up high during their ceremony and everything cooled down really nicely after sunset during the reception. 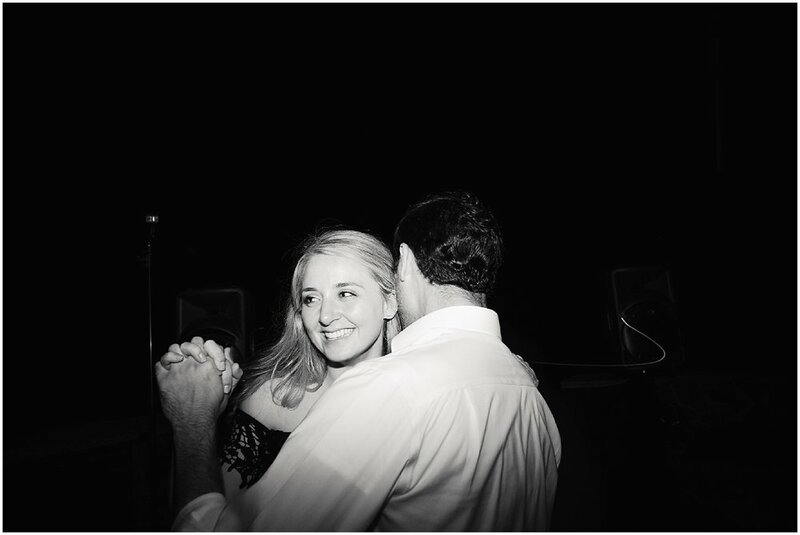 A fire pit, s'mores, and Hava Nagila made the reception unforgettable. See their engagement session here! Debarge is a stunning place to get married! 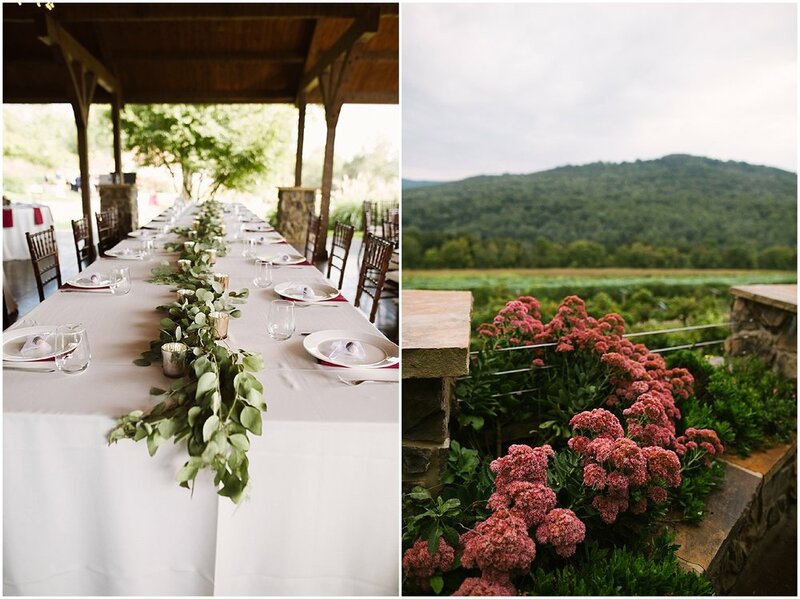 If you're a lover of vineyards with big mountain views, you will adore this venue. 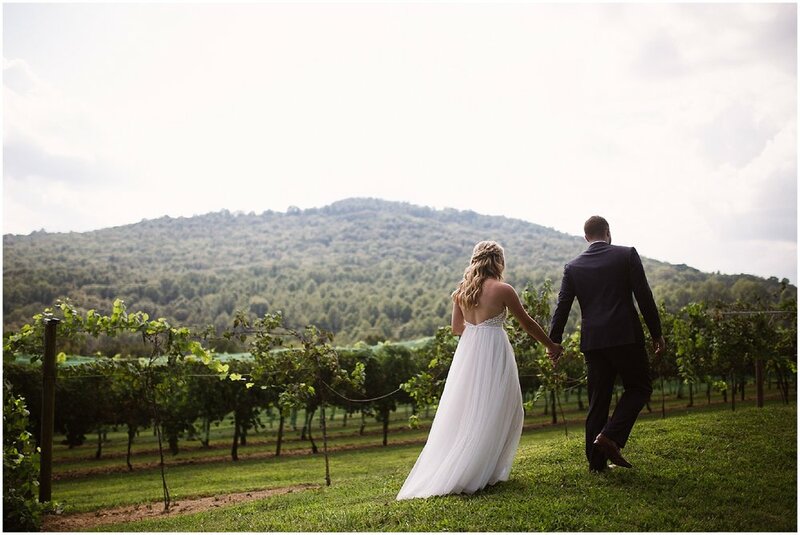 It's a bit of a trek to get there through the winding two way roads and limited cell phone service, but it was so worth it to be surrounded by greenery and blue skies on Brooke and Sam's wedding day. And as an added bonus, there are two fluffy friendly dogs on the grounds that love being the center of guests' attention.